I happen to inhabit the same house as the biggest vanilla ice cream fan on the planet. I can only think of a handful of occasions when he has ordered another flavor, let alone another dessert, when my family has gone out to eat. Since all of the vanilla ice cream in our house had already been consumed, I thought it would be a nice gesture to whip up a batch of it just for Riley. I am generally not the biggest fan of vanilla ice cream. I find it to be bland and unexciting, especially when compared to peppermint or dark chocolate or pistachio. This, however, was neither bland nor unexciting. It was so creamy, so smooth. It had a much more robust flavor than any other vanilla ice cream I had ever tasted; it was actually good enough that I even wanted to scoop a little into a dish for myself. Luckily, I got the approval of the world's foremost authority on vanilla ice cream. 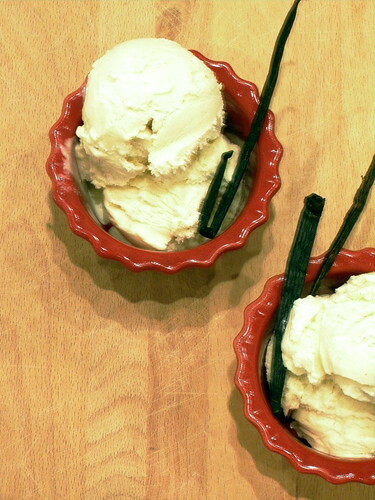 If the vanilla connoisseur deems it an excellent batch, I advise you take his word on it and make some for yourself. Riley may just be getting another tub of this for Christmas. Measure milk, salt, and sugar into a saucepan. Split vanilla bean lengthwise and scrape seeds into milk. 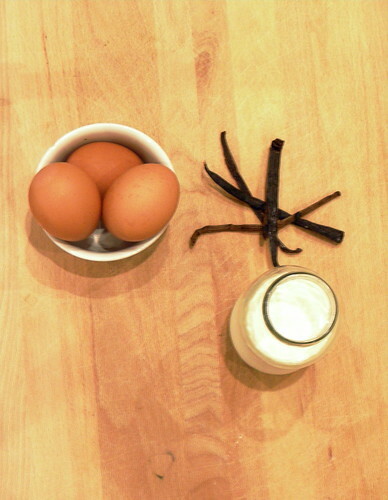 Add vanilla bean pod to milk and heat the mixture until it begins to simmer. Stir together egg yolks in a bowl and gradually add some of the warmed milk, stirring constantly as you pour. Pour the warmed egg yolks back into the saucepan. Cook over low heat, stirring constantly and scraping the bottom, until the custard thickens enough to coat the back of a spoon. Strain custard into the heavy cream and add vanilla extract. Put the vanilla bean back into the custard and cream to continue steeping. 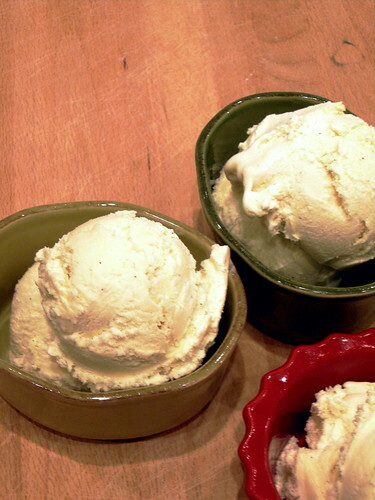 Chill thoroughly then remove vanilla bean and freeze in an ice cream maker.